It doesn’t take long to be impressed with Barbara Rundquist-Muller. She’s warm (especially for a German), smart (but not intimidatingly so) and direct (always a big plus with moi). 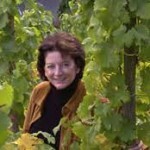 So when the owner of Weingut Dr. H. Thanisch talks about sustainable farming and painstaking work in the winery and the uniqueness of riesling, it sounds like anything but a well-practiced platitude. 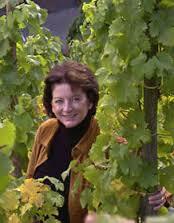 “I had 30 years marketing wine, so suddenly I’m producing it. I took a close look and decided that those old walls could use a fresh look. 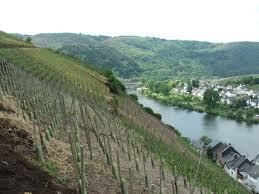 “The old vineyard manager retired, so I hired a very young estate manager, a very passionate guy [Maximilian Ferger]. That turned out to be a match made in heaven. He brought in fresh wind, new ideas. We’re now all sustainably grown, as close to nature as feasible. We don’t use artificial fertilizer or insecticide, only fungicide as needed. Our vines were planted 100 years ago, and if we don’t use fungicide, we could lose it all in 24 hours. “We also brought that philosophy to the cellar. It’s all hand-worked. We bring in grapes, squeeze them carefully, let them sit 12 hours and let natural enzymes and natural yeasts go to work. It’s dangerous, and takes a lot longer. There are many strains, so fermentation comes and goes. We ferment mostly in stainless steel, plus 1,000-liter oak barrels that don’t give off any flavor. One of her new crew’s earliest decisions was making the Trocken wine “on the Spatlese level body-wise. 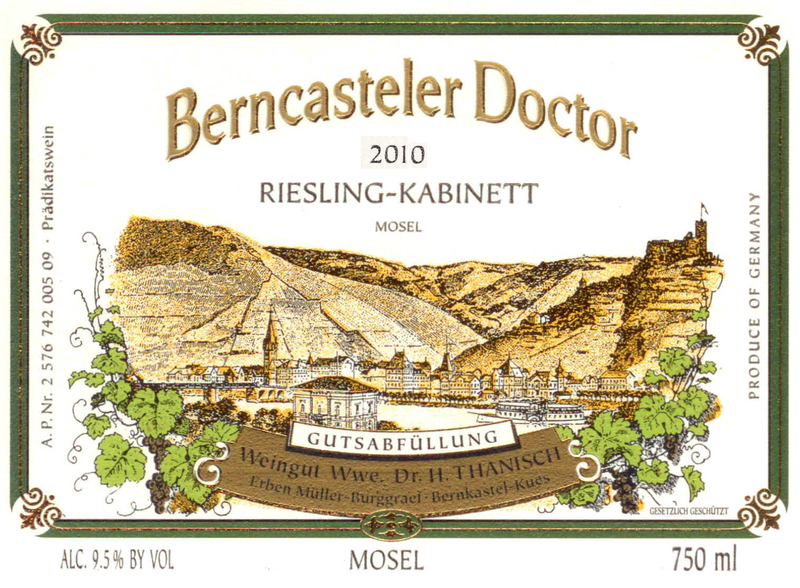 Kabinett was too light in style, Auslese too alcoholic, 14-plus.” The 2011 is ripe but minerally, with a surprising touch of citrus and a fruity but dry finish, a bargain at $25. 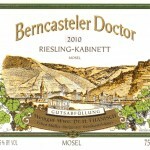 lore has it that Berncasteler Doctor got its name in 1360 from Archbishop Boemond II of Trier, whose doctor declared him terminally ill until, lo and behold, he quaffed some juice from the vineyard and regained his health. The 2010 Kabinett was one of the most delicious wines I’ve tasted all year, and Spatleses from ’05 (silky, rife with character), ’07 (voluptuous, endless) ’09 (soft, almost spritely) and ’10 (spicy, supple) showcased the quality of the terroir and the spectacular way that the best rieslings evolve. All for around $40. Amazing. No brag, just … well, you get the picture.